PolicyPak always tries to do it’s “work” as SYSTEM first. 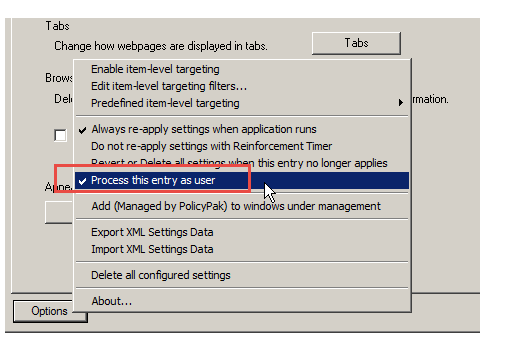 In the case of Redirected Folders, the system doesn’t have WRITE rights where you’re redirecting to. This is indicative of Folder Redirection in use.